Well that is a wrap on IAAPA 2014 for me – I leave this morning for a slightly colder venue (this week was the coldest I have ever felt in Florida, not that it was truly comparable to Utah) and I had the opportunity to see most everything I needed to see, save a couple of things you always miss out on because it is a massive show. After this the next step will be to edit the many videos I captured, which will probably take some time. I could do them all raw but I would rather edit a few things and add commentary. 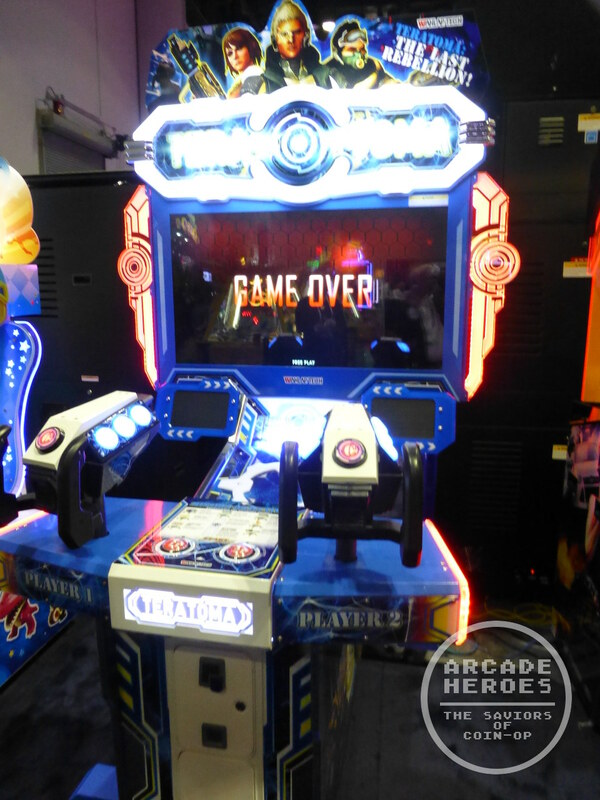 Stay tuned to the Arcade Heroes Youtube channel for that, as well as here, as I have quite a few items that I have to post. Flashlight of the Evil (Sealy) – Here is a terror/horror themed game where you fight of various dark creatures using your flashlight weapon. It is an odd choice, a little different. Apparently Sealy decided that for this show they were going to replace the flashlight controllers with Zeroplus handguns, which removes the effect a little. That and the gun I used had a sticky trigger. This would be in the realm of Dark Escape 4D, at least that is what they were trying to go for while using different creatures than just zombies. A foot pedal is used as both a way to “switch flashlights” (such as an Ice Flashlight) or shake enemies off of you that jump onto you. A wind effect would pop-up on occasion but any atmosphere the game should have was hampered by odd sequences where the monitor would go blank and then display its info (like “HDMI: In”), almost as though it was switching resolutions. This only happened on cutscenes but overall this game would require some further tweaking to be ready for primetime. Guard Story (Zisen Animation) – Not every game can be a winner and this one is just a plain stinker. Using the very odd enemy patterns found in various Chinese “medal games” (their version of redemption/videmption), this was an attempt at blending a vertical shooter of a sort with the swarms of enemies everywhere into the concept. For me, it just doesn’t work. Shmup fans note, it’s not something that is “so bad its good” with redeemable qualities. Just move along, nothing to see here. 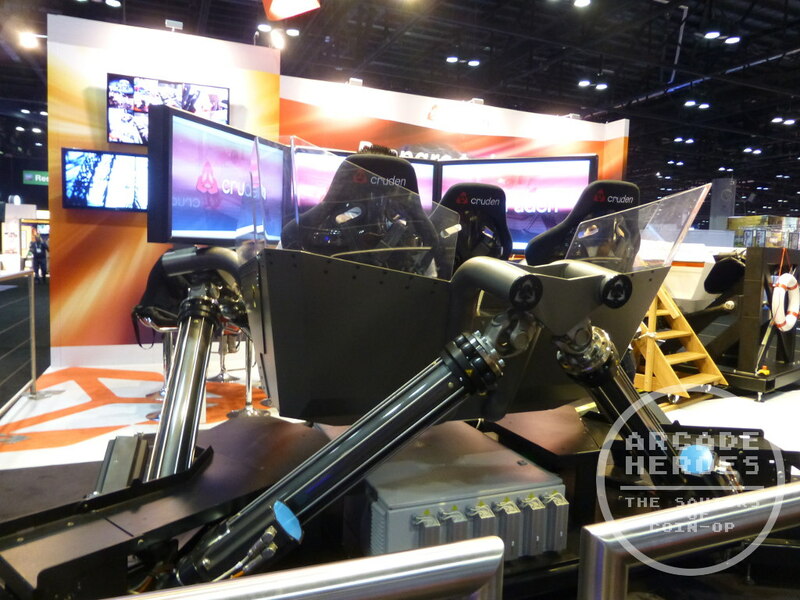 Hexatech & Powerboat 5CTR (Cruden) – Let’s start out with some professional simulators. 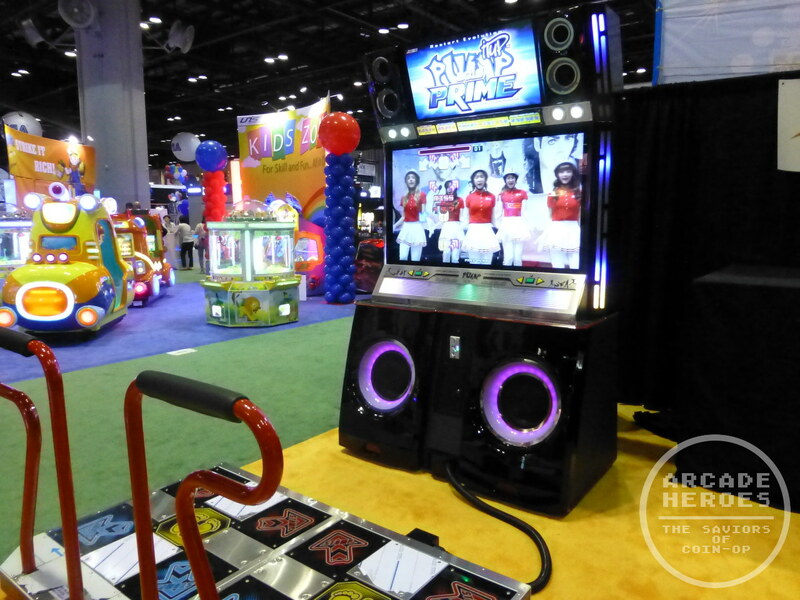 I know these are not really intended for the arcade market as the software just isn’t designed for that in mind but I have heard of some high-end arcades out there offering such setups as attractions. 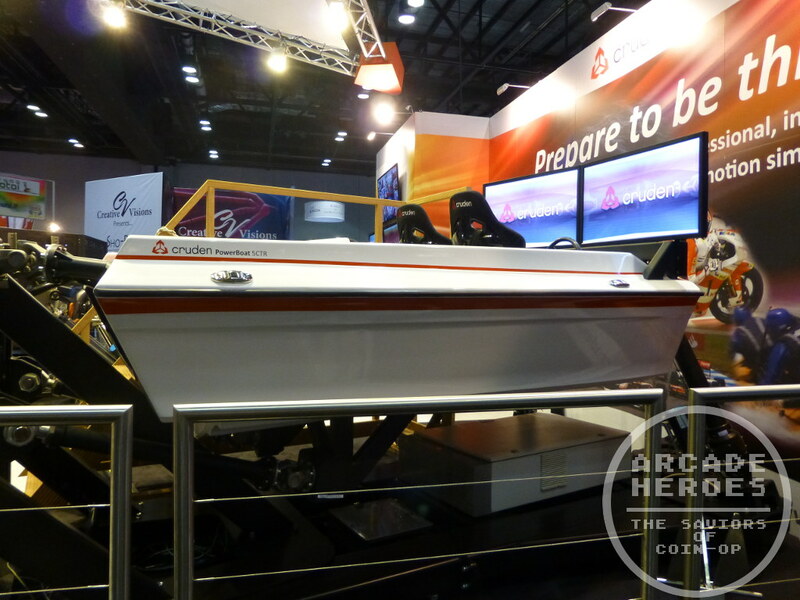 Here is Cruden who was showing off their race car and power boat simulators. 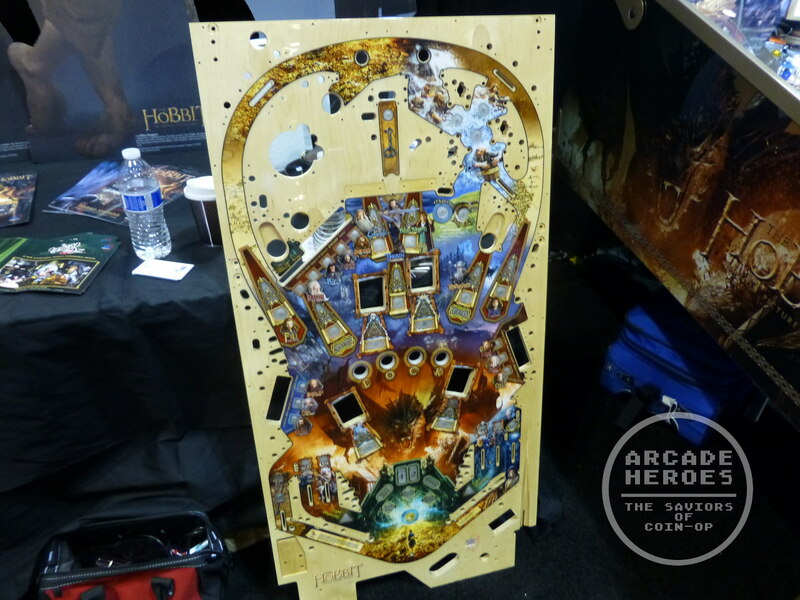 The Hobbit Pinball (Jersey Jack) – I finally discovered the Jersey Jack booth, it was in an odd place a few rows away from all of the other coin-op stuff. 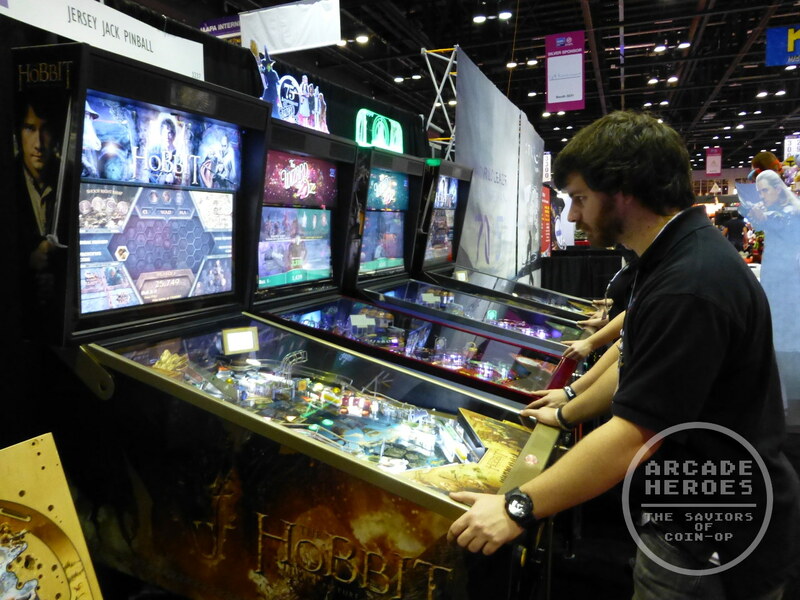 They had two Hobbit machines and two Wizard of Oz units, one which was the new 75th Anniversary version. 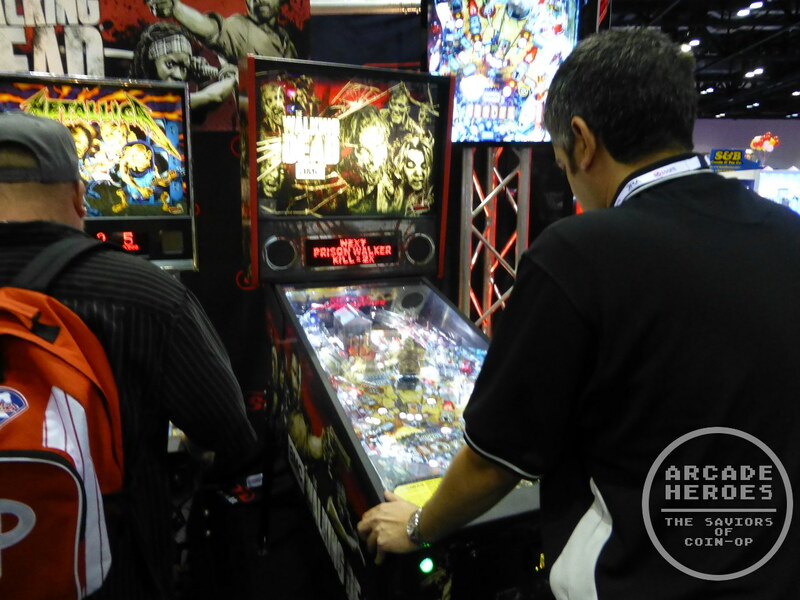 The playfield art was not final – that was shown to the side. Getting a chance to play, I can see what some comments meant about it feeling a little bare as the pop-up targets are what will fill that space in. 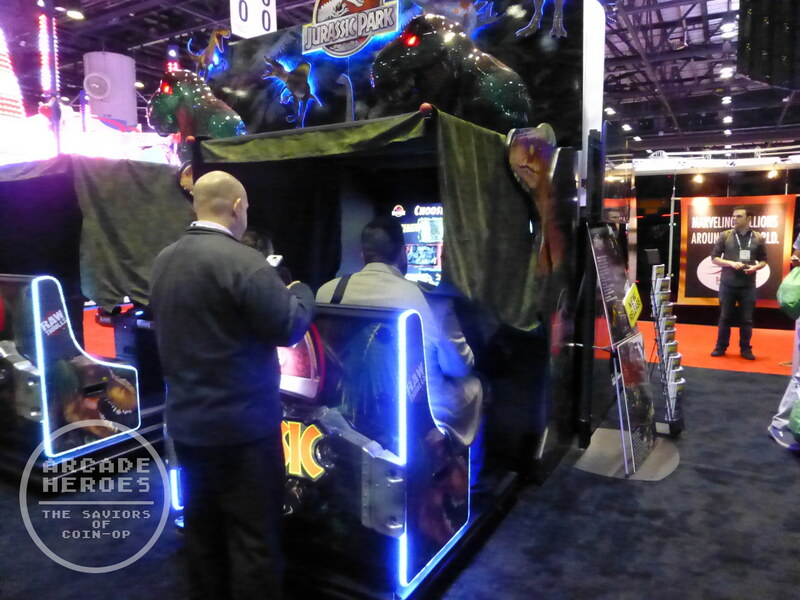 The versions at IAAPA had some additions that were not shown at the recent Pinball Expo event including a mini-monitor as a book and a more animatronic Smaug The Dragon toy, which will turn its head and talk to you depending upon the shots you have made. You could tell that the software was no final although the beautiful artwork on the LCD screen mentioned ‘Prototype Code – Not Final’ there, just so you could be sure. Hopefully part of that code makes it a little easier to initiate Smaug’s banter. Based on what I could play it is a good game but it did not wow me like The Wizard of Oz did initially. Of course many of the features The Hobbit were incubated with WOZ and where the release has been pushed to January 2015, who knows what else they might throw into by then. 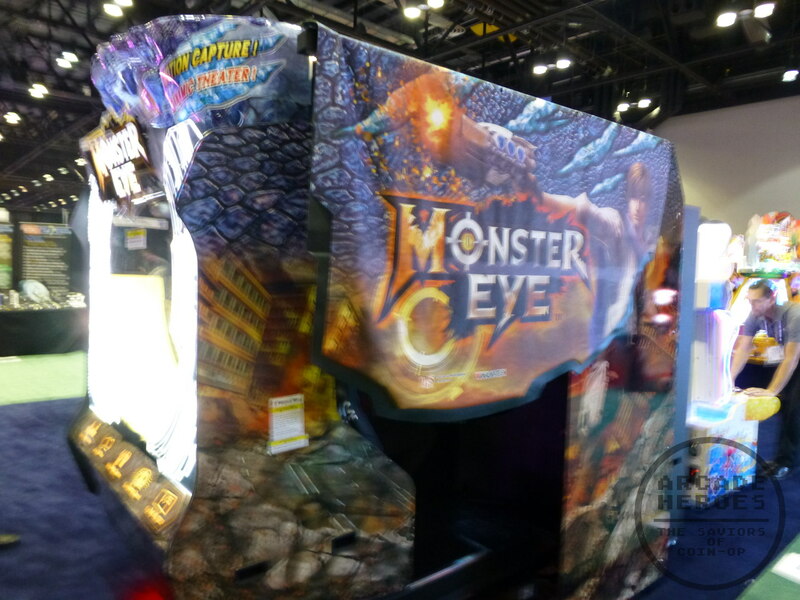 Monster Eye (IGS/Wahlap) – We’ve mentioned this game on AH before and it was at IAAPA2014 via the Wahlap booth. They ditched the 5D part from the title and it is simply called Monster Eye. Similar to Deadstorm Pirates, this is a co-op light-gun shooter where you blast various mutant creatures that are attacking innocent cities. 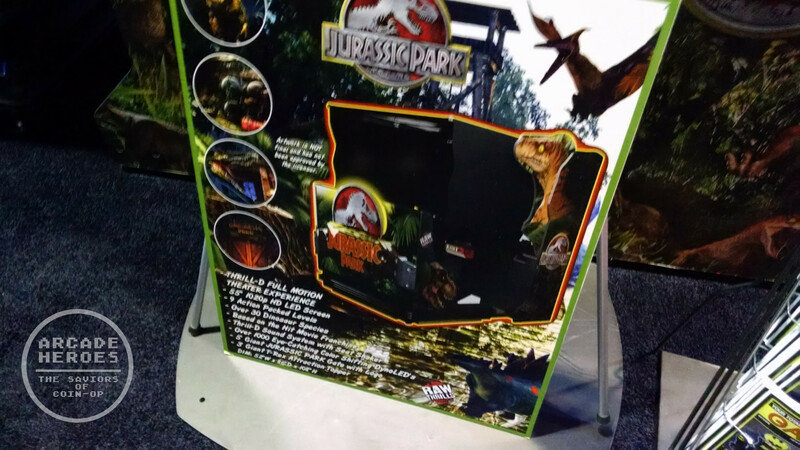 It includes a motion seat and a Kinect sensor for certain sequences. 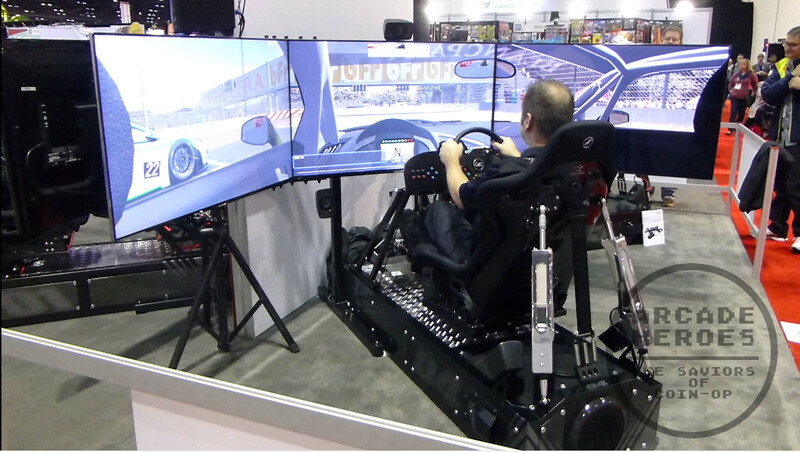 Motion Pro II Racing (CXC Simulators) – When I passed by this booth they were just getting started with a network match between four players. It was fun to watch as they also had someone doing some live commentary. I have a video of this which I will probably not need to do much editing on to post. CXC announced a turn-key product/service solution for putting these units into interested businesses and homes, the focus as shown in the video is on networking a few together for competitive play, which is probably something that businesses would benefit from the most. Piano Tiles (Baytek, videmption) – One unexpected rhythm game to appear at the show was on the Baytek booth with Piano Tiles. 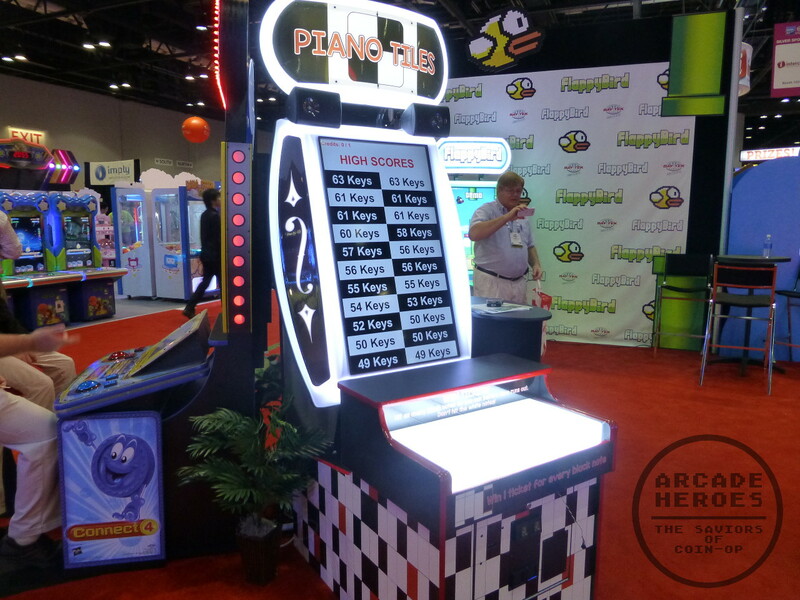 Using a design similar to the Flappy Bird arcade cabinet, this is a simple game where the player has to push the black piano keys that appear from the top as quickly as possible. If you don’t push anything the graphics do not scroll so you can take your time but then the ticket bonus will be less. 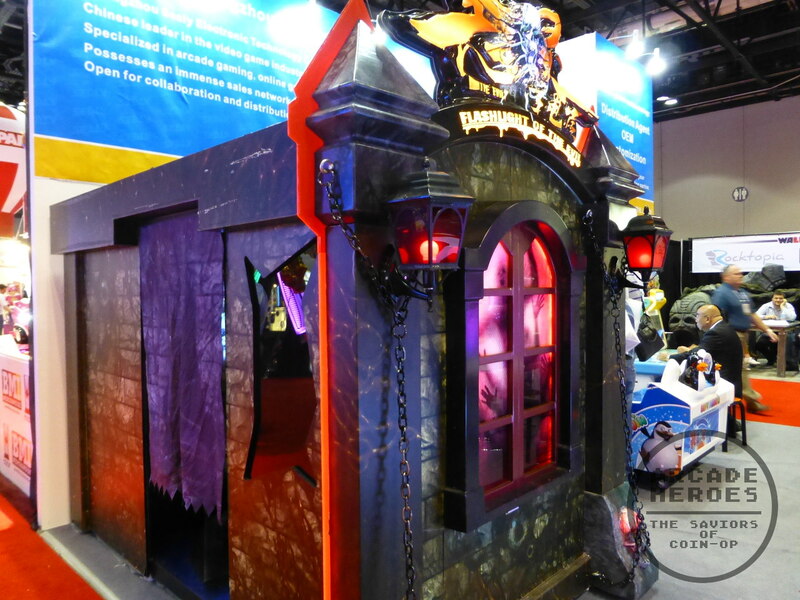 Teratoma: The Last Rebellion (Wahlap) – This game was at IAAPA 2013 but I had little info about it then. The cabinet has changed completely since then but the concept of a sci-fi light-gun shooter remains the same. The story has to do with genetic experimentation & manipulation but you have to fight off mechanical as well as biological creatures. Larger enemies have a feature similar to Sega’s Rambo where there is a red countdown timer for you to hit them before they hit you. I only played through one level and didn’t notice any technical flaws, graphically it looks decent, there aren’t any mechanics to the play that don’t work like they should or bugs. It would be interesting to see how it would earn on a location test comparable to Western shooters; there is a bit more competition in this area as most light-gun shooters at the show used mounted guns. 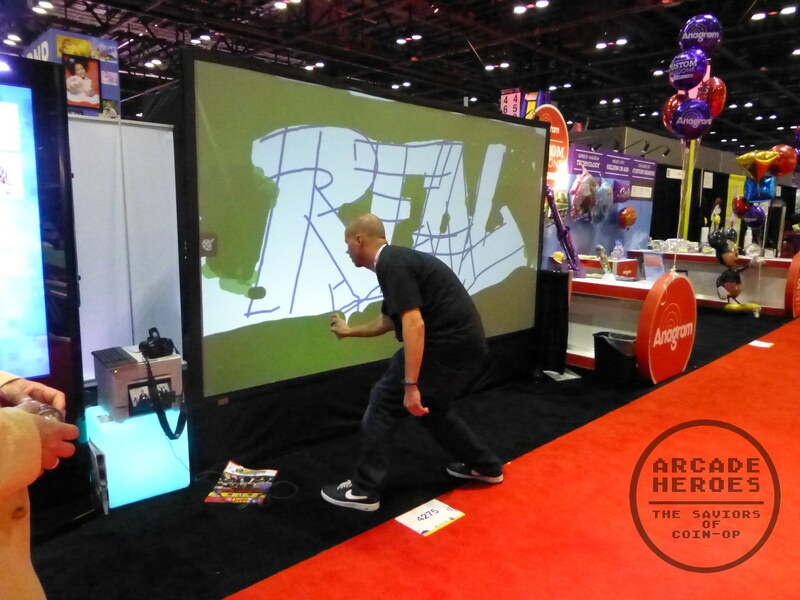 Virtual Spray Paint – Not exactly a coin-op product but from a technology standpoint, this was pretty cool to see in action. It makes the spray can noise and you use a device that looks just like a spray can but no smell and no permanent tag. 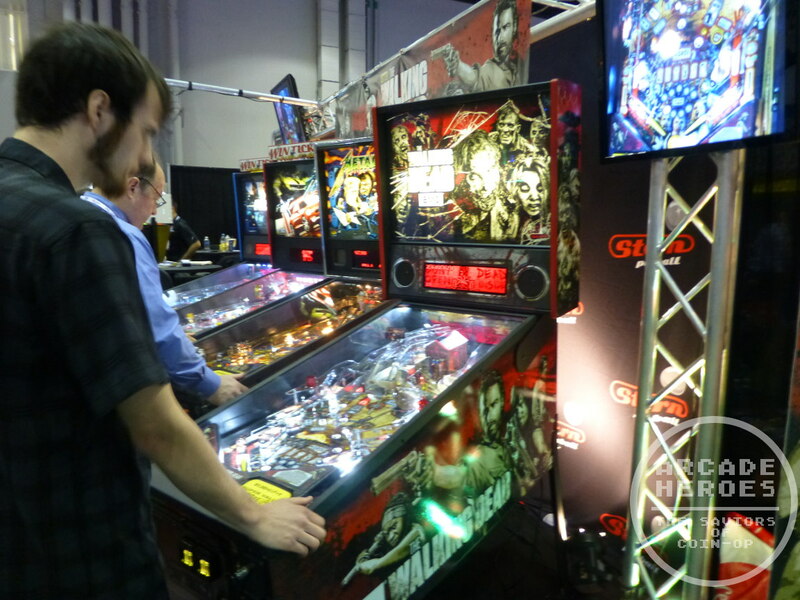 The Walking Dead (Stern, Pro model) – I finally got a chance to play the new The Walking Dead Pinball table by Stern. I was getting used to the multi-colored lighting enough that this threw me off a little bit as most of the lights are a clean white LED. I had hoped to see the LE version with the crossbow feature but that will have to wait. I played this for a little bit, I found it fun although not more than the new Star Trek. Like last year, also stay tuned for an IAAPA Mega post where everything will be compiled into one massive post for all to enjoy and to point out once again how not-dead the industry is. What’s happened to lost land adventure? Did you manage to get any photos or video of it in action? Also is guard story really that bad?! I love shoot em up games and upon seeing photo it looks alright. Why’s it so bad? Sorry I overlooked this comment – Lost Land Adventure is on the roster, I should have that uploaded tomorrow. arcades4ever, he has discussed this game before. 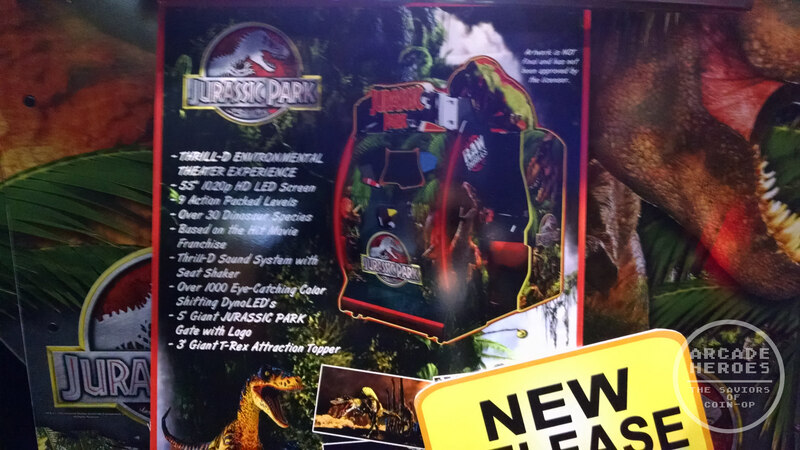 I think we’ll be able to see footage of it in action when he uploads the IAAPA video. Was there a Fishbowl Frenzy like Scooby Doo ticket game at the Raw Thrills Booth? sorry for the delay, I was flying for most of yesterday and didn’t get a chance to check comments. Sorry for not being more descriptive. If you are familiar with how Chinese medal games work then they flood the screen with targets – usually some slow moving ones with an occasional fast mover. It depends on the game what you do with the targets, but that is usually down to using a turret of some kind. In the case of Harpoon Lagoon, it’s the harpoon. 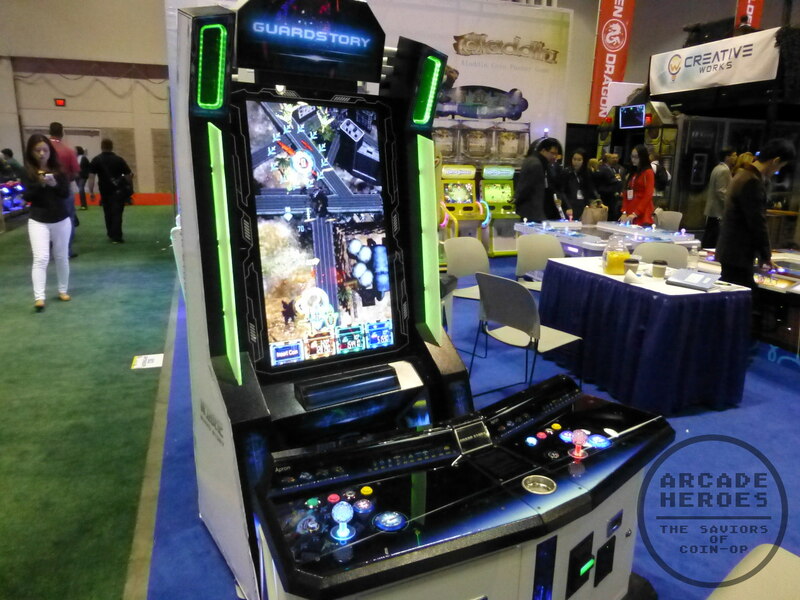 Oh thanks arcadehero, so it’s safe to say that guard story is no Cave shooter by any means. From sounds of it it seems like a crap shooter you get on the App Store where it’s just endless and nothing exciting happens. That Cruden Simulator is sitting in our location right now. It will be the second one we have purchased. We love that thing.